We offer design & printing services on Autograph Sheets. Prices here include design time & printing. Full payment is required before we begin the design process. If you are using images from another photographer you will need written permission from them. 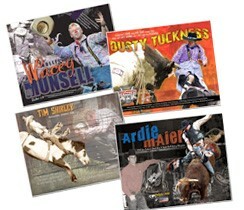 If you want to add sponsor logos to your sheets please email those to us, orders@cowboyimages.net.